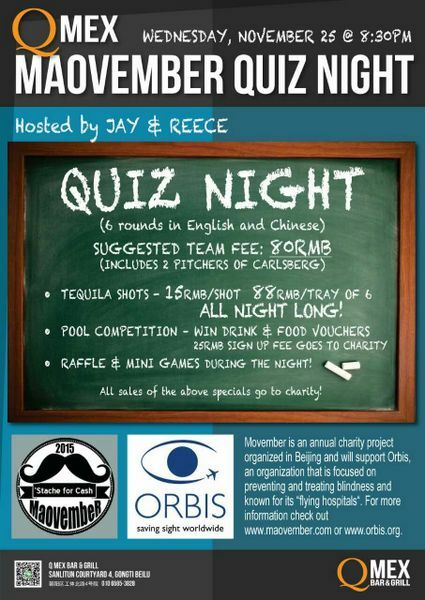 Q Mex Bar & Grill brought back it’s brain-teasers by holding a second annual Maovember charity quiz. Like last year, the quiz was bilingual and drew over a dozen teams, with even more money raised via a pool tournament and tequila shots. Due to the efforts of co-owners Stefan Schober and Lucy Li, some rmb1696 was raised for Maovember!